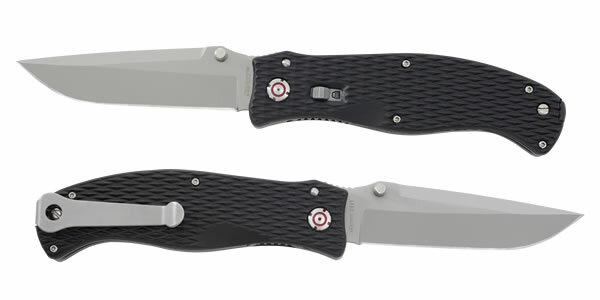 This is a video review of the COAST Products Rapid Response Folding Knife. The knife makes me smile for several reasons. First, it is very well made. The production values are high and the knife has a quality feel. It is inexpensive. Not cheap, inexpensive. The knife in the video, which is the 3.9″ 5Cr15MoV satin-finished blade can be purchased for only $41.49 (three dollars more for a black coated blade). Lastly, the knife performs well. COAST Products, which began as COAST Cutlery, has been a family-owned Oregon business since 1919. 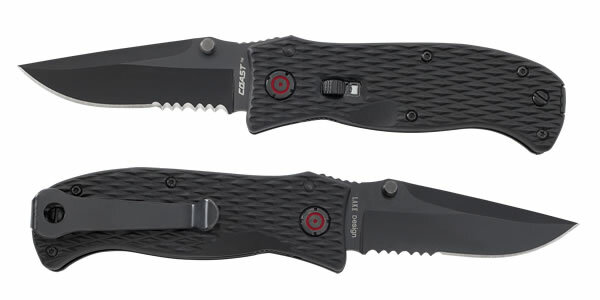 Although the company began making knives, the current product line includes LED lights and multi-tools. I have a COAST HP7 LED light that is also of high quality. The Rapid Response Knife was designed by world-renowned custom knife maker Ron Lake, so I was not surprised that I liked it so much. 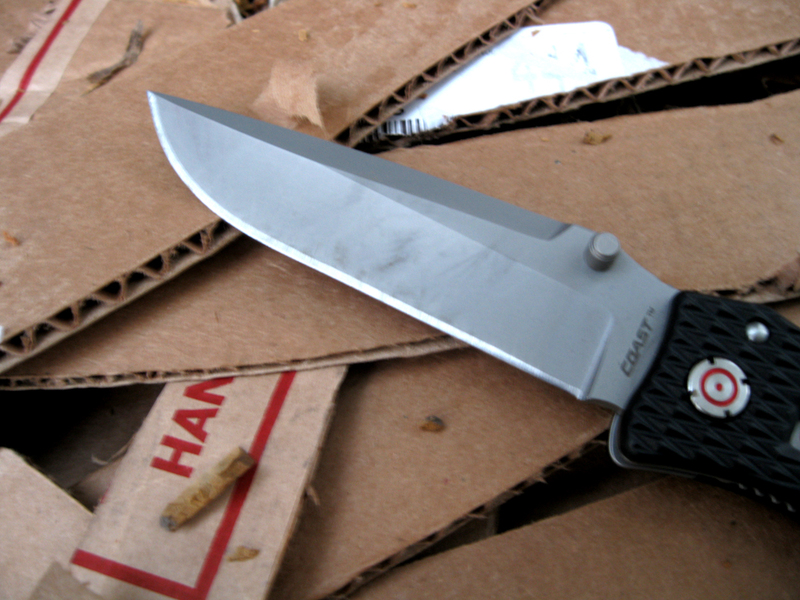 I savaged a cardboard box and chopped at a 2 X 4 with the Rapid Response Knife and found the blade to have good edge retention qualities. Because some steel can be inferior for a knife blade if not heat treated properly, I wanted to see how tough it was. The 5Cr15MoV stood up to the abuse. The 2 X 4 is old and very hard. I chopped at it pretty well and found the Rapid Response Knife’s weight an advantage in this respect. 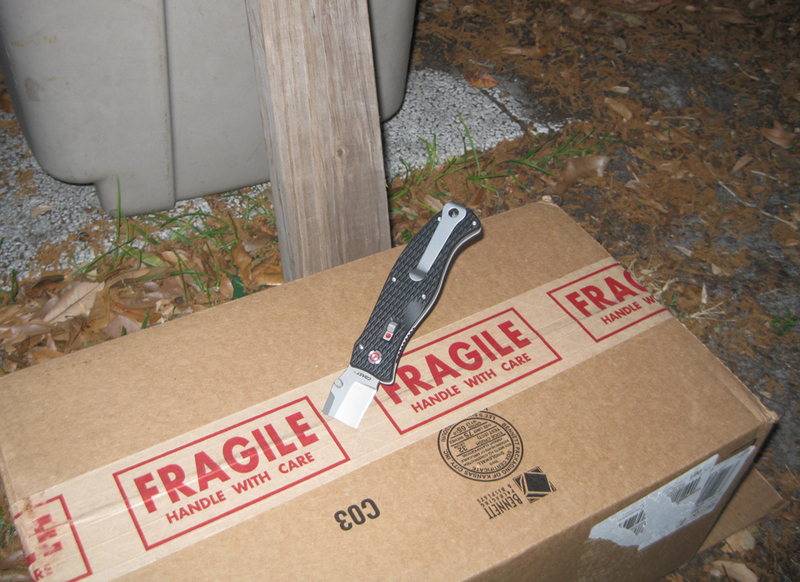 After cutting the box into unbox-i-like strips and hacking at the wood, the blade suffered no chips or other damage. 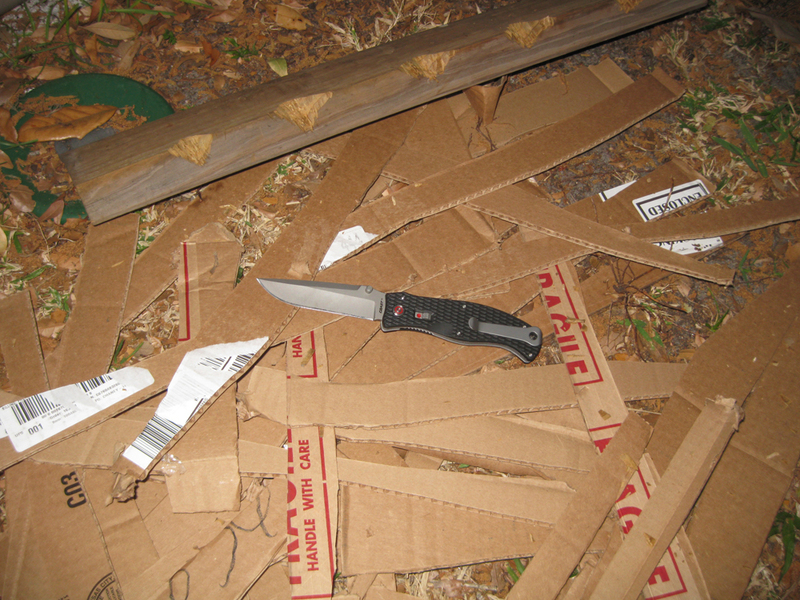 In fact, it was still keen and sharp enough to cut more cardboard. Okay, the blade is good to go. It is a real safety bonus on this knife to have COAST’s Max-Lock mechanical locking mechanism to back up the Walker liner lock. Add to this the sheer enjoyment of snapping the blade open. The Smooth Assist Technology blade is fun to deploy and I can’t seem to put the knife down. As I said in the video, I liked the larger knife so much, I ordered the 3″ black bladed knife for on-duty carry. MSRP for that knife is just $38.49. The 3.9″ model is a bit large and at 4.8 ounces is slightly heavier than I prefer in my uniform pants pocket. I am excitedly waiting for the smaller knife to ship and I am sure I will be quite happy when it arrives. This entry was posted in Knives, Officer Safety, Street and tagged assisted opening knife, Coast Cutlery, Coast Products, folding knife, police knife, Rapid Response Knife, video review. Bookmark the permalink.